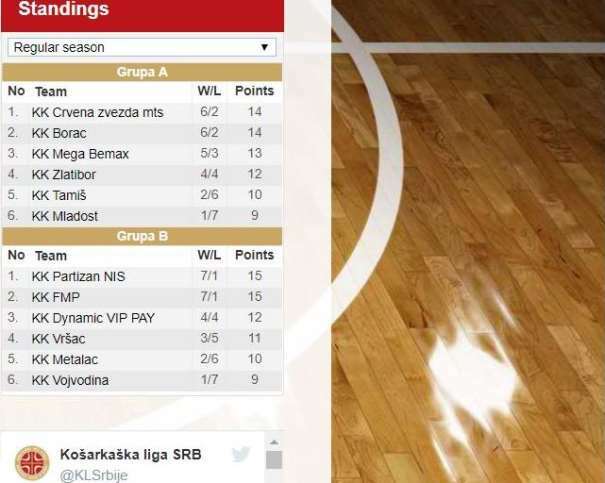 There were no surprises in the Group B of the Serbian Super League after the round 8. Partizan won 87 – 71 against Dynamic, FMP was better than Vojvodina with a score of 77 – 81 and Metalac won against Vršac with a result of 84 – 70. Even though the Black and Whites won with a 16 points difference against Dynamic, it wasn’t an easy victory for the home team. Until the fourth quarter it was an equal game. Only in a few times during the match Miroslav Nikolić’s team was a real threat for Partizan, mostly because the home squad had some empty minutes, especially during the third quarter. 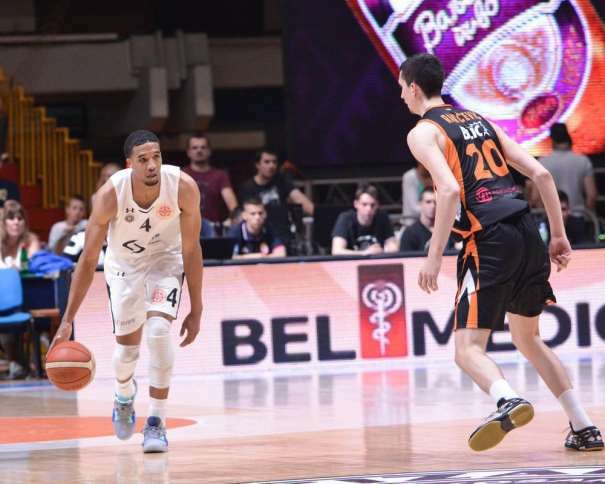 Again, the best player in Partizan was Nigel Williams-Goss. The American guard had 19 points with 8 assists. His teammate Kwame Vaughn added 15 with 6 rebounds, while Mihajlo Andrić scored 11 and Vanja Marinković and Sy Bandja finished the match with 10 points each one. For Dynamic, Aleksandar Todorović scored 18 points and Nemanja Krstić was, with 11 points, the only other player with double-digit score. After the match, Miroslav Nikolić was satisfied with his teamplay. “I have to be satisfied. Our goal is to make it to ABA 2 and with what we showed against Partizan, it is possible. Partizan is the big club, so we didn’t expect to win, I just expect for my team to play better as much as possible. We are small team, with focus on young players. We are making players”, said the Dynamic head coach. FMP is still on the winning track and now the team from Železnik was better than Vojvodina. The end result of this game was 77 – 81. In this game it was a similar situation as it was against the Black and Whites in the previous round. FMP had double-digit lead and again lost it and allowed its opponent to get closer, but again celebrated. Nemanja Nenadić scored 17 points for FMP; Stefan Pot added 15; Michael Ojo, 13 points; and Aleksandar Bursać had 10. In Vojvodina, Dejan Janjić was the best one with 17 points, while Nikola Silađi scored one point less. Dušan Prica finished the match with 11 points and Krsto Bjelica added 10. Metalac from Valjevo had an important home win against Vršac, because now they can hope for a spot in the Playoffs, but there is still two rounds till the end of the regular season of the Serbian “Super liga”. Vršac didn’t have any chance of winning this game, due to the fact that the home team was leading from the start and the maximum lead was 17 points. At the end, it was 14 points deference (84 – 70). Everyone who played in Metalac had double-digits score so this was definitely a team win. Seven players were on the court and all seven had more than 10 points. The best one was Bojan Krstović with 14 points. Filip Zekavičić scored 13, Đorđe Kaplanović and Aleksandar Vasić added 12 each one and three players finished the match with 11 points: Nenad Nerandžić, Mladen Pavlović and Josip Mikulić. On the other side, three players had double-digit score and the best was Stefan Đorđević with 18 points. Miroslav Pašajlić added 12 and Danilo Ostojić, 11 points.